IMF-Troika Draconian Demands Force Greece Towards Default? 8. Government must sack another 100,000 public sector workers over the next two years in exchange for the next tranche of bailout money. The Troika will not be heading to Athens as planned on Monday, and instead will be doing a teleconference, until their demands are met. PM Papandreou has had to turn his plane around, while en-route to the US, in order to preside over emergency meetings in Athens to identify new savings. 1. There is a climate of panic in the ruling socialist Pasok party that has never been seen before according to an elder of the party. He says, "I doubt that Pasok will be able to adopt such measures and the prime minister might be forced to call early elections." Antonis Samaras, head of the conservative opposition New Democracy party, warned that the Pasok government is a 'captive' of its own mistaken policy and unable to attain its targets. He said, "the only solution to today's deadlock is elections!" 2. The onus is on Greece to prove that it is delivering the budget cuts and fiscal reforms mandated by the emergency bailout loans. However, it is becoming increasingly difficult to balance the budget as the economy implodes. Deeper-than-expected recession has cut into tax receipts, leaving a bigger fiscal gap. 3. Contrary to mythical folklore, at the weekend meeting of European finance ministers in Poland Eurozone finance ministers warned Greece that it may NOT receive the next euro 8 billion tranche under its bailout agreement in October, according to senior Greek officials. 5. Another round of cutbacks is likely to shift support away from the government. 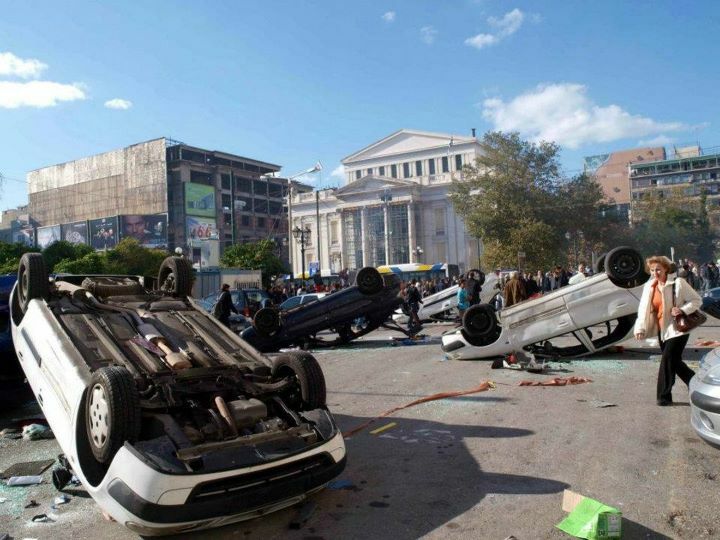 There are fears that further austerity measures could lead to more strikes and protests in Greece. Without fresh aid, Greece will now run out of money by mid-October. Although major bond redemptions are not due until December, lack of funds will make it difficult to pay for government services, public-sector wages and other commitments, thereby sowing mass discontent. Given the circumstances, it is increasingly doubtful that Greece can meet the demands of the Troika. Will the markets finally understand that Greece has arrived at a financial cul-de-sac or are they still going to wait in vain for a miracle so that Greece can be perpetually rescued from imminent default?